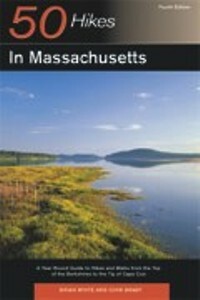 50 Hikes in Massachusetts,by John Brady and Brian White. 4th Edition, 2006. Good selection of hikes across the state, from the Berkshires to Cape Cod. Topo map included for each hike. Good natural history info - the authors are geology professors. 276 pp, 6” x 9”.